Pack your bathers in your bike basket for the region’s Top Pedal ‘n’ Dips to make the most of the pristine mountain-fed rivers and lakes of the North East.  The region also boasts some of Victoria’s best recreational fishing in Victoria, so leave room for a rod in your backpack. It’s a family-friendly pedal (6km one way) past the Rail Trail Café to the Porepunkah River Pool at Riverside Park. Here, the river is dammed over the summer holidays and manned by lifeguards to provide a safe swimming hole to splash about in. Ride until you reach the natural border of Victoria and NSW, the mighty Murray River (9km one way). From the historic Wahgunyah Empire Hotel, cross the bridge to Corowa’s banks to dangle your cycling legs in the water. Make tracks back to Rutherglen via Wahgunyah’s wineries for a wine tasting or refuelling lunch. Ah, the serenity! Pedal 22 km (one way) and you’ll find exactly that in the cool waters of Lake Eildon. Laze away the afternoon in a shady spot at the water’s edge with a picnic collected before you leave from The Mansfield Produce Store. 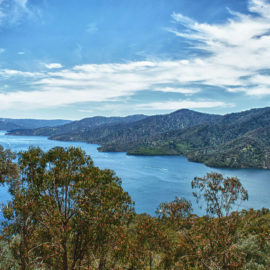 When Lake Hume is brimming, park the car at Huon and pedal 12km (oneway) to Tallangatta where the best family swimming is to be found at the BBQ shelter near the Lakelands Caravan Park. When the water dips below 80%, with just a few more pedal strokes you’ll find the Hospital Inlet is the place to cool off.